Rejuvenating Eye Masks is rated 3.5 out of 5 by 66. 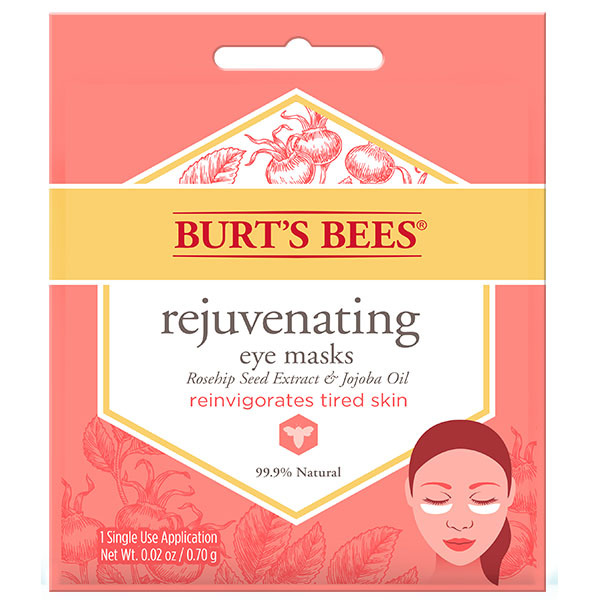 Reinvigorate tired eyes with Burt's Bees® Rejuvenating Eye Masks. 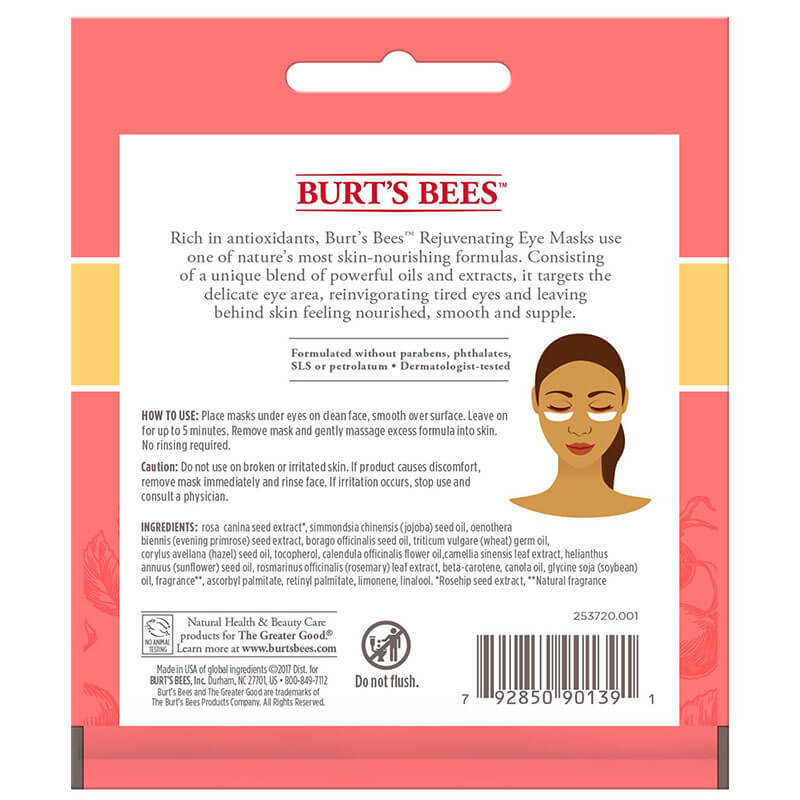 Rich in antioxidants, Burt's Bees® Rejuvenating Eye Masks are one of natures best skin nourishing formulas, consisting of a unique blend of some of nature’s most powerful oils and extracts to leave skin feeling smooth and supple. These eye masks target the unique eye area to help to reduce the appearance of dark circles. 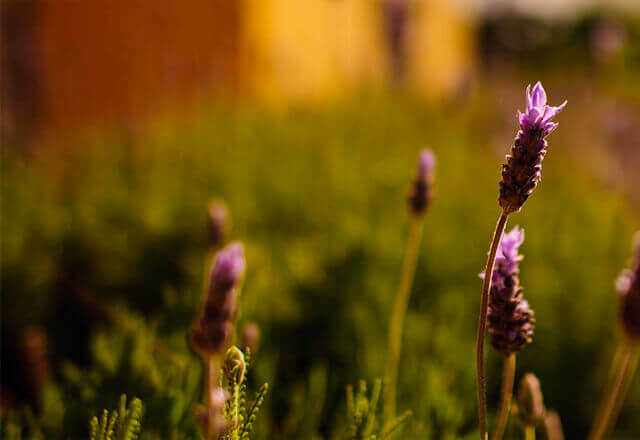 • To use: lift the mask from the pouch, apply mask to clean skin beneath the eye, wait 5 to 10 minutes and gently remove. If there appears to only be one sheet, simply peel apart. • Do not use on broken or irritated skin. If product causes discomfort, remove mask immediately and rinse face. If irritation occurs, stop use and consult a physician. To Use: Place the eye masks under each eye onto clean skin, smoothing into place. *If there appears to only be one sheet, simply peel apart. Leave on for 5 to 10 minutes. 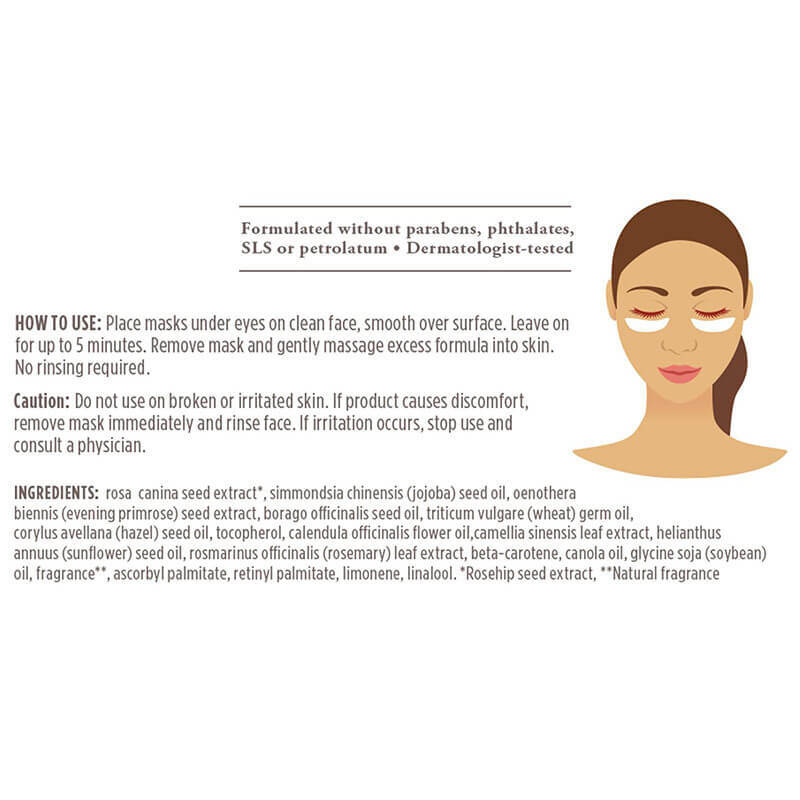 Remove and discard masks. Gently massage excess formula around the eye area and face to rejuvenate and rebalance skin.